With the season on the line in a win and you’re in situation, the SSSL Milton U18 clinched a spot in the playoffs. They came into the game after a thorough thrashing by Brockton on Monday, and redeemed any and all doubts about their abilities with great all around effort in fielding, hitting and good decision making to beat Carver, whom they had tied earlier in the season to make the playoffs. McKenzie Durfer and Shannon FitzGerald both took the mound and pitched a great game, but the story for this win was a flawless defense. It started in the 1st inning with an amazing throw to pick off a leading runner at 3rd base by catcher Ashley Vaughn to 3rd baseman and former Milton High school captain Julia Moore, who was playing her last game at home in a Milton uniform before heading off to college. There are too many great defensive plays to write about, but Emma Kelly’s great play at 3rd base in the 4th inning should be mentioned as she took a painful hard line drive to the stomach, only to still control the ball and toss it casually to first base like it was an everyday event for an out. Offensively, the girls got off to a slow start, scoring their first runs in the 5th inning. With 2 outs in the 5th, Elena Kapolis started things off with a solid double, followed by a single by Emma Brown to put two runners in scoring position. Ashley Vaughn then took it from there with an enormous long ball hit for a triple to get Milton on the board. Ashley then scored on a RBI by Kate McAuliffe to put Milton up 3-1. The same story was repeated in the 6th inning to seal the win, but with the names changed. Also making her last appearance and last ever at bat at home in a Milton uniform, Brenna McCarthy started off with a single, followed by a well hit double from Maggie Ware, to be followed by Julia Moore's last at bat at home with a crushing triple to seal the game and a trip to the playoffs. The girls are scheduled to play at Silver Lake on Monday, this is the playoffs, the season is over and records no longer matter. With that in mind, we will end this with a quote to hopefully inspire the girls. Milton U14 lost at home to Dedham 18-6 with Emma Newell, Caitlin Lewis and Helene Juzyca each having 2 hits. A Dedham pitching change was greeted by a double and a then a triple by Jenna Conroy and Isabelle Johnson but it was too little too late. The next night a road trip to Stoughton saw us face the toughest pitcher of the year. The Wildcats kept it close entering the bottom of the 4th inning down only 3-0 before losing 15-0. Only three hits, by Madeline Crehan, Helene Juzyca and Jenna Conroy, were allowed by the Stoughton pitcher. Milton U18 ties with Carver 8-8 On a warm Monday evening. The U18 girls of Milton (2-1) traveled to the very far town of Carver to take on the U18 Carver Knights. Thankfully the heat was abated by a strong wind blowing to the infield, making it a perfect evening for softball. Both the Milton and Carver teams were at full team strength with 12 players each. McKenzie Durfer (started) and Shannon FitzGerald each took the mound for 4 innings apiece as the game went into extra innings. The Carver pitcher was good and Milton went out with its first three batters. Milton did not fare as well in the first giving up two runs on only two hits, with the girls having trouble settling down, obviously from the long car ride. But the second inning was a different story with Milton scoring 2 to tie the game on 4 hits, starting off by a crushing triple from Olivia "Chipotle" FitzGerald, a single by Julia Moore, McKenzie and two RBIs for Emma Kelly on her well hit double. Carver countered by scoring 3 more runs over the next 3 innings while Milton came up empty, even with hard hitting doubles by Brenna McCarthy and McKenzie. In the 6th inning Emma Brown started a Milton rally with a hard hit for a triple, followed by singles from Brenna, Allison Carey, Maggie Ware and Olivia to take the lead 6-5. Milton would score another 2 in the top of the 7th to make it 8-5 on clutch hits from Ashley Vaughn, Emma Kelly and another double by Emma Brown. It looked like Milton was headed home with a win, but Carver had something else in mind when they scored 3 tying the game at 8 all. The game went into extra innings with both sides unable to score a run for the win. Milton put up total of 14 hits to Carvers 8. The girls are now 2-1-1, playing at home against Bridgewater, and will surely need the "10th" player up on the hill Wednesday. Milton U14 (Conroy) had only 8 players commit to the longest road trip of the year to take on King Phillip under the lights in Plainville. Eight is enough as the Wildcats brought home a 15-11 victory. Playing one short in the field the team did an excellent job defensively of covering and backing each other up. Emma Newell had the lion’s share of the responsibility using her quickness to play right field and also help with right side infield defense. KP had to earn everything they got as the left side infield, Jenna Conroy and Isabelle Johnson gave them nothing for free. Offensively the team went a combined 17 for 26 with Isabelle Johnson 4 for 4, Jill Radley 3 for 4 and Jenna Conroy 3 for 4 leading the way in the 2-3-4 spots. Huge hits by Madeline Crehan, Natalie Carroll, Victoria Aldrich and Courtney Scarborough plated runs. Madeline Crehan went the distance on the mound and pitched out of some tough situations when we she needed to. Milton jumped out to a 15-6 lead in the fifth inning and KP scored 5 late as time ran out. Earlier in the week, Milton U14 (Conroy) had their night game at Gile spoiled by the league leading North Attleboro Rockets. The visitors seamed to take advantage of every Milton miscue with huge hits when given an extra out. Final tally 17-2. On a perfect summer evening, the Abington U18 softball team came to meet the U18 girls of Milton. Attendance was high for the game as the “10th players” sat high up on the hill supporting the girls. The Milton girls came into the evening looking confident as the champions they are. The game started quick as Pitcher McKenzie Durfer took the mound with trusted catcher Ashley Vaughn. Abington jumped out to a quick start scoring 3 runs with the Milton girls having trouble initially with fielding. The Milton girls got out of the tough inning leaving many Abington base runners stranded with a quick two strikeouts and great defensive fielding. Milton countered quickly by making it a 3-3 game to end the first. For the second game in a row, it was all Milton after that with 18 hits to bring in 19 runs to end the game early in the 6th inning. Everyone on the Milton team got a hit Monday night, but it must be mentioned that Elena “Cat” Kapolis had 3 hits including the season’s first home run and Shannon and Olivia FitzGerald both had three hits apiece. The Milton girls continue their quest for another title shot, but this Wednesday they will face a tough Marshfield (Irish Riviera) team where they are sure to be tested. 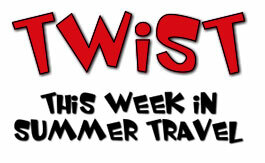 Summer Travel kicks off this week. Milton U14 Conroy started off the summer season Tuesday against Bellingham at Gile Field. After a shaky first inning defensively, the Wildcats turned a 5-0 deficit into a game by chipping away at the lead and playing tighter defense. The lead was cut to one, 7-6, by the 5th inning. Bellingham took a 9-7 lead into the top of the 7th and pushed across 3 runs to make it 12-7 which was the final score. The defense was lead by Jill R throwing out two runners attempting to steal second and Anne B throwing out runners at third and home. Aggressive base running by Helene J and Hannah M sparked us offensively. Milton U18 Vaughn beats Hanover, 13-3. The 2013 U18 defending champions opened their 2014 season Wednesday night playing a well-balanced game that led to a great season opening victory over Hanover. With returning seniors Brenna McCarthy and Milton High Captain Julia Moore leading the way, they continued their recipe for success by playing as a “Team first” with all hands contributing to a great win. It looked early like it was going to be a long night for Milton as the first three batters went down swinging against a confident Hanover pitcher. But Milton countered with the same as pitcher Shannon Fitzgerald and her long time trusted catcher Ashley Vaughn mowed down their first three batters. It was all Milton after that with returning stars from last year Julia Moore starting off the inning with a great hit for a double and hits from fellow veterans Shannon Fitzgerald, McKenzie Durfer and Brenna McCarthy, also contributing hits where very pleasant new additions Allison Carey, Maggie Ware and Emma Kelly to put Milton up 7-0 in the 2nd inning. The rest of the night continued to be very successful with a key RBI by Kate McAuliffe in the 3rd and 5 more runs brought in the 4th inning from hits by the veterans Ashley, Brenna, McKenzie and new additions Maggie and Elena Kapolis. If Hanover ever had a chance to stay in the game it was ended by a crushing triple to right field by veteran Olivia Fitzgerald to clear the bases. With a well balanced offensive and defensive team, the Milton Girls U18 looks to be making a run at another title.